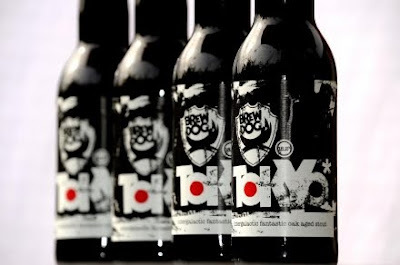 BrewDog's Tokyo stout, with a whopping 18.2 percent alcohol, ought to warm you up. Sounds like there's been a whole lotta drinking going on out there to cope with cabin fever, am I right folks? This huge roasty treat just hit the shores and is on draft at ChurchKey. The young brewers of BrewDog are nothing if not innovative, and their trailblazing has delivered the perfect Winter's Ale. Fermented with ale and champagne yeast, this beer is the quintessence of warming, pitched at a blanketing 18.2 percent! Not merely a sort of chocolate-coffee liqueur, the beer is seasoned with jasmine and cranberries, making each sip worthy of further flavor contemplation. The beer is softened and rounded by its aging on oak chips, proffering additional notes of vanilla and coconut. From the hills of Piedmont comes a beer with all of the complexity of that region's heralded vinos. Tawny amber and full-bodied, this ale ushers plum and raisin across the palate, with cinnamon notes wrapping up a sticky-dry finish. The addition of chamomile, green tea, mint and coriander makes this brew's unique character step forth. A truly local brew infused with cutting-edge brewing techniques! This classic craft brewery has been releasing their hearty barleywine for a few years, and it is always good for rich flavors of caramel, toffee, bright red fruit and nuts. But this year, they have nurtured the ale on another level. Post-fermentation it spends some time in oak barrels previously utilized to mature Cabernet Sauvignon at Elk Run Vineyards in Mt. Airy, Md. This tempers the touches of booze and hop that, traditionally, have dominated the finish. What's left is a smoother brew, one that invites a second look with port-like allure. Christian Skovdal Andersen created this super-new brewery once his old place fell on some hard times. While he is based in Copenhagen, he travels to Grimstad, Norway, to brew Mørke at Nøgne-Ø (Norway's premier craft brewery). And thank god he does: soft, roasty overtones, with a touch of peat smoke are the first flavors encountered; then comes the pumpernickel with rye bread spiciness and a teasing caraway note. Delicious. 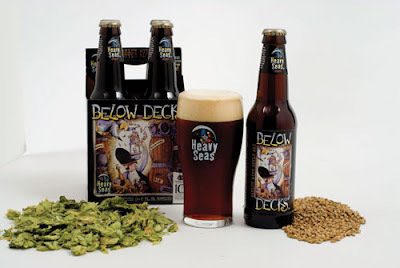 I've had Below Decks - definitely a warm, smooth beer. But Tokyo, I could sip and savor all night long.